Heavenly blog! : No. 1230: Although Oslo police want to let themselves be used by mockery apostle Jan Aage Torp to stop the Heavenly blog, so let it not be implemented! No. 1230: Although Oslo police want to let themselves be used by mockery apostle Jan Aage Torp to stop the Heavenly blog, so let it not be implemented! Although Oslo police want to let themselves be used by mockery apostle Jan Aage Torp to stop the Heavenly blog, so let it not be implemented! Ansgar Braut who has used the alias against me, my family, my employer, my wife's employer and others! Torodd Fuglesteg has written the worst thing that the goal is get me to dangle from a gallows with a rope around his neck. I have five children and the names of my children public and everything else to frame me and my family have done nothing punishable? But I have written a minimum this is a criminal offense? We have, in other words with a police doing there Polti in Saudi Arabia or North Korea are small criminals against Manglerud police with the so-called Hatkrim group! This is Norway in 2016, or the Stone Age? I just have to ask how much madness that will be possible! Before any sensible and prudent people intervenes and looks Polti and Jan Aage Torp crime !!!! I have been asked what I was convicted of? To that I must reply that the whole thing is just a cabal and Christianity persecution !!!!!!!!!!!!!!!!!!!!!!!!! It is I who have been harassed, and my family! Here everything is turned on head and the guilty go free, but the innocent should be punished! Unfortunately, ignoring Manglerud Polti completely proven what's what in this matter, but God will undoubtedly cause everything to victory for those who believe in his son's name! Meanwhile, the farce is really over, as Jan Aage Torp who he is and represents is revealed to all and sundry in the past month.! 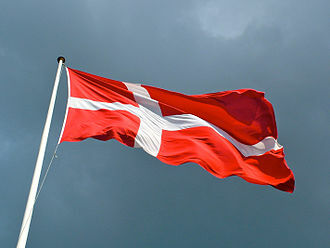 Photo of the Danish flag, Dannebrog - perhaps we put the Heavenly blog for? Who knows? I write perfect Norwegian, so now here in Norway itself from Denmark is not impossible? It now looks like the Heavenly blog has shaken the whole of Norway and everyone doing everything they can to stop this glorious heavenly message! We have freedom of religion and freedom of speech as the so-called hate groups on Manglerud to influence hate crime online. Here is the act of proportionality me and my family at the worst possible way. Sending emails and everything else, if it's my son's twitter account to threaten him that if he did not obey the, then write that he is gay etc. Something which has also been done, and, police accept this. They send emails to my wife both in her private mail, work e-mail and to her superiors that she goes around with guns and it is getting huge campaigns with armed police. I have received more than 20,000 hate speech against me the last 3 years online. Jan Aage Torp, who has managed to stoop Polti with false accusations the police have secured their some. He himself has written ten times sharp against me than I meet him, this ignores Polti and the courts so far! But in reality, they can never stop me online or others who have little resources and ingenuity. I can just go to my native Denmark where I was born, have citizenship and own personal and absolutely everything that makes me to be Danish. There I can just create his own website and write as before. In reality, the entire trial against me a great big farce where everything will go as before if not even better, Hallelujah!